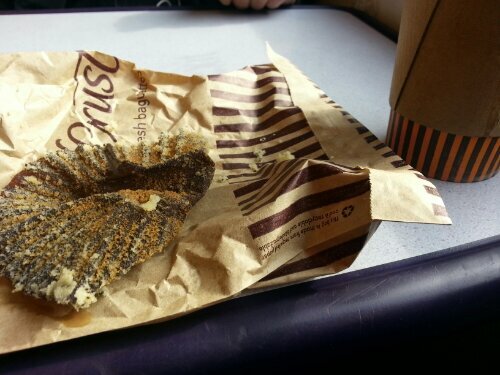 Poppy seed and lemon muffin with coffee on the train to Preston. Struggling to overcome the grave injustice that was Manchester United’s defeat by Real Madrid in the Champions league. My weight was 90kg at the start of March. This is 3.5kg lighter than this time last year. I have been very careful about what I eat trying to ensure that I don’t use tiredness, training load or a lack of time as an excuse to make bad choices.